I'm sad and shocked to hear the news that Alan Rickman, Daniel's co-star known for his role as Severus Snape in Harry Potter​, has died today at the age of 69. A family statement (via the BBC) said: "The actor and director Alan Rickman has died from cancer at the age of 69. He was surrounded by family and friends." R.I.P. Alan Rickman. Update: The photo I added below is also shared on Daniel's Google+ with a message from Daniel which I have posted below. 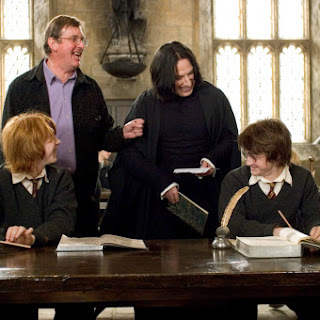 Alan Rickman is undoubtedly one of the greatest actors I will ever work with. He is also, one of the loyalest and most supportive people I've ever met in the film industry. 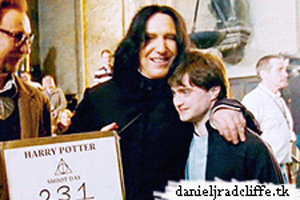 He was so encouraging of me both on set and in the years post-Potter. I'm pretty sure he came and saw everything I ever did on stage both in London and New York. He didn't have to do that. I know other people who've been friends with him for much much longer than I have and they all say "if you call Alan, it doesn't matter where in the world he is or how busy he is with what he's doing, he'll get back to you within a day". I like this photo. 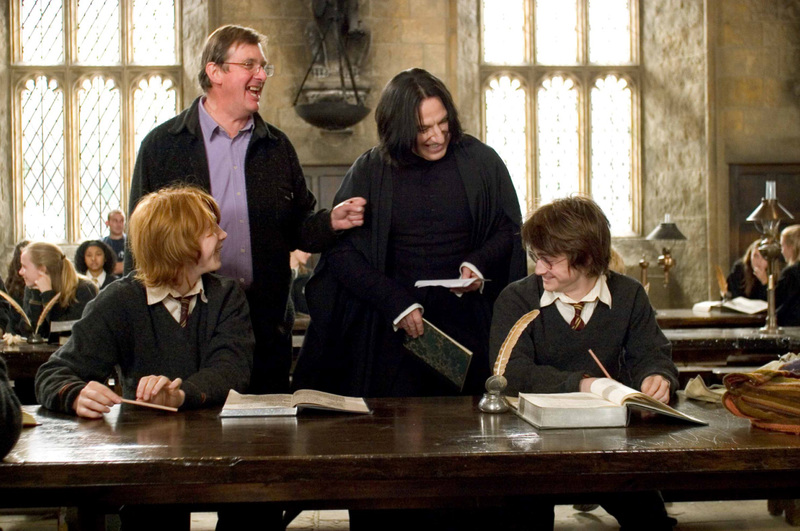 It was taken, if I'm not mistaken, while rehearsing a scene where Alan clipped me and Rupert round the back of a head with a book. We all, apparently, found this hard to do without laughing. And then there is also a cartoon from The New Yorker. The Google+ links at this page are Dan's posts shared via this site's Google+ page.